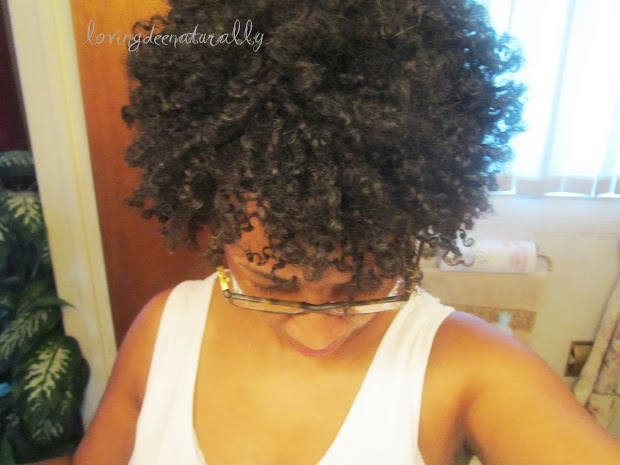 Loving Dee Naturally : Tips for achieving 5-7 day wash and go ""
When I first went natural a year ago one of the things that stayed at the top of my wish-list was to have my wash and go last a whole week. I didn't want to keep having to wet my hair several times in the week, like I had been doing, especially in the winter time. 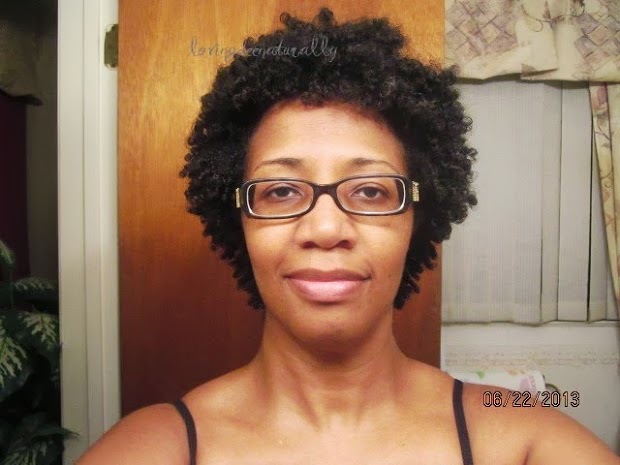 I was getting my inspiration from blogs and youtube videos and kept running into those naturals who were able to achieve a 5-7 day wash and go and I wanted that for myself. I was dreaming for the day when it would be a reality in my natural-haired life. Well, that day has come. I didn't realize it when it first happened so I can't tell you the exact day but I do know what I was doing with my hair when it happened. I was on the Tightly Curly Method challenge. 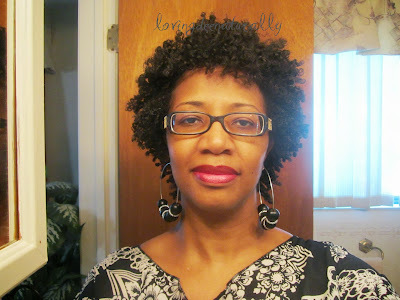 Now I'm not saying that the TC Method is the only way to get a 7 day wash and go. Plenty of naturals who don't use TC method have achieved 7 day wash and go but I will say that TC method has been a major key(along with other factors) for my hair in having my wash and go looking good for at least 5 days, most times 7 days. 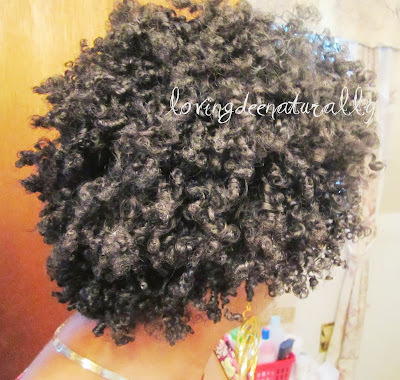 While I know that not every natural wears wash and gos or cares about how long they last, there are some that do. It is for those that this post is written. As I reflected on what it is that I do in my hair care regimen I came up with some definite actions that I feel contribute toward this goal. 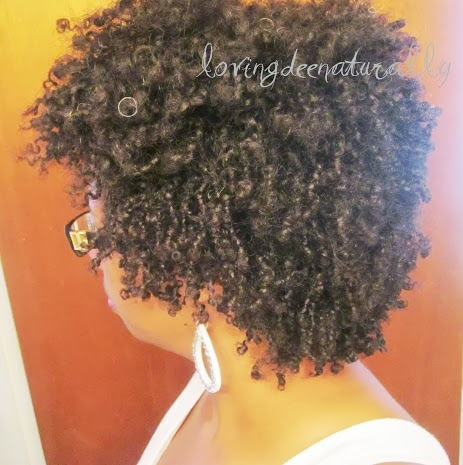 I've been doing the following actions just as a part of my regimen and NOT for the sole purpose of achieving a 7 day wash and go; it was just good practice and I saw that these things work for my hair. I didn't reach this goal overnight. It came with time. It took almost a year for me to get to this place so don't get discouraged if you try some of these a few times and nothing seems to work. It takes time and it takes diligence. 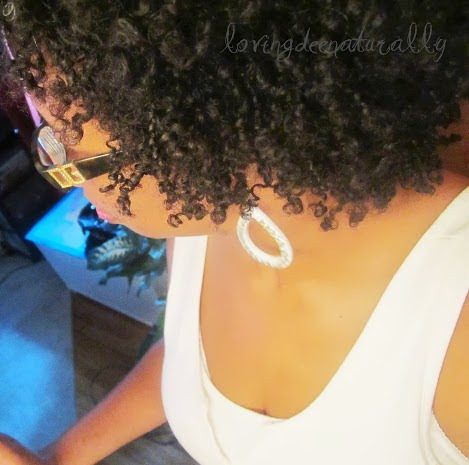 So without further ado, here are some of my tips for achieving a 5-7 day wash and go. Build/keep moisture at peak level in hair (this will probably take place over time) - What I have observed with my hair, is that a consistent, weekly regimen/routine of haircare(cleansing/deep condition/detangle/style with conditioner) has been the foundation of how my hair looks, how long my styles last, and most importantly the health of my hair. It is the moisture that is delivered within the regimen that is the key; that really is (and should be) a natural-haired beauty's "holy grail" ingredient/product....Moisture! and Moisture=Water! When I first big chopped I learned early from my reading and researching to listen to my hair. If it felt dry then it needed to be moisturized and the way to moisturize my hair is to wet it; not just spritz it; fully wet it and that is exactly what I did. When I first started out my hair would get dry after a few days and I would fully wet my hair in the shower and then apply my leave-in conditioner. That moisturizing would last another few days until my wash day and I'd do it all over again this time deep conditioning and then applying my leave-in conditioner as my styler. I did that week after week and whenever my hair felt dry I would fully wet it and condition it...uh, until the wintertime. Once it got cold I would not/refused to fully wet it mid-week so I would spritz with water and aloe vera juice and do the loc method and I found that my hair held it's moisture very well with this process until my weekly wash day. I believe it is the consistent wetting/drenching of my hair with water and the conditioning that takes place afterwards that has contributed to the moisture levels building in my hair week by week and month by month. Use the right product(s) to help retain/seal moisture - Now this tip will have to be experimented with to see what products/combination of products work for you hair to help your hair hold on to the moisture that you work so hard to consistently put in. Some of the products that work for me to help my hair retain it's moisture are silicone-free conditioner, castor oil, shea butter, aloe vera juice. Product ph - One aspect of using the right products for my hair involved being cognizant of the ph of the products that I use. I measure the ph of my homemade concoctions that I use in my hair and adjust the ph to about 4-4.5 for my leave-in conditioner. Products that have been ph-balanced will aid in laying the cuticles flat on the hair strands. Flat/closed cuticles will seal moisture within the hair strand and help the hair retain that moisture. Flat(conditioned) cuticles will enhance curl definition by eliminating frizz and enhancing shine. Effective Nighttime Routine - finding the right nighttime routine for the stage of growth your hair is in is important to maintaining your style during the week. 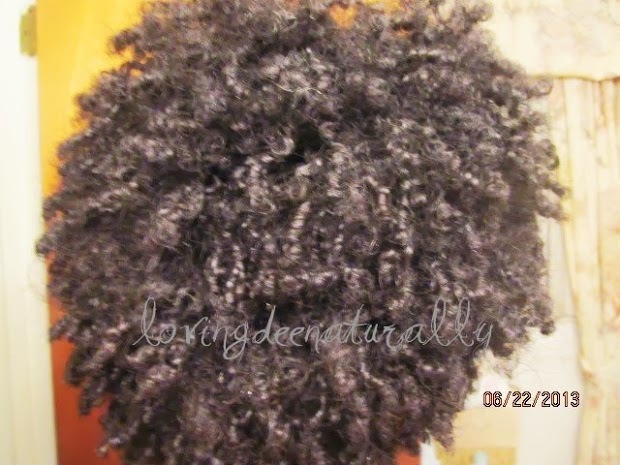 Twisting my hair at night keeps my curls and the ends of my hair preserved and protected during the night. 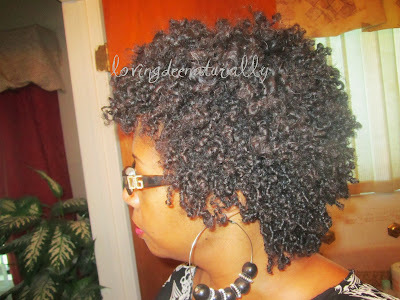 I've observed that when I began twisting my hair in large, loose twists my hair stayed moisturized. 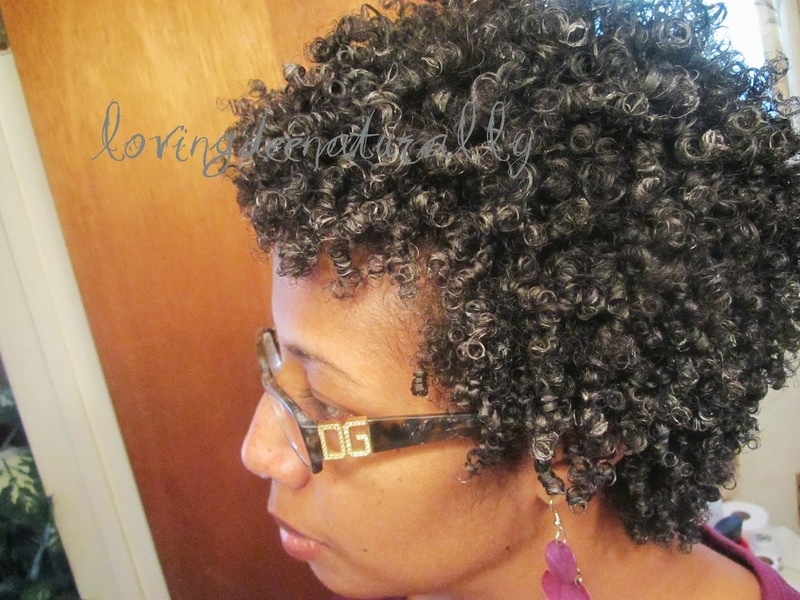 When I untwist in the morning my hair is super soft and still moisturized. Other options you can try for nighttime routine are pineappling, mini-pineapples(for shorter hair), braiding, banding or doing nothing(for twa). 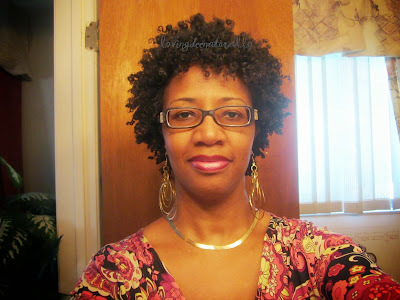 When my hair was shorter and I did the Tightly Curly method I would not band/braid or twist my hair at night. I did nothing to my hair except tie a scarf tightly around my curls to hold them in place against my head. In the morning I would just spritz my curls with my aloe vera spritz to refresh, moisturize and fill my curls out from being in a 'mushed' state throughout the night. Rewet/Remoisturize/Redefine as needed during the week - another technique I use is spot defining in the morning with water/aloe vera juice/conditioner any curl that is frizzy and dry. This does not happen every morning but if it's too frizzy for me on any given day then I'll rewet with a little spritz and smooth conditioner on any curl that is dry. 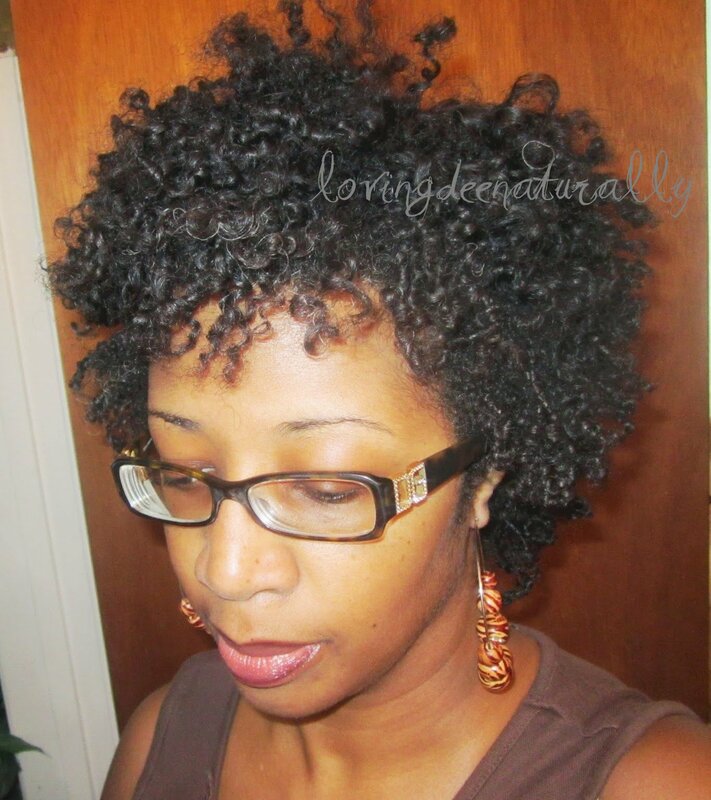 This remoisturizes any dry spots and keeps my curls moisturized and frizz-free. I don't do my whole head; just individual curls that may need some attention. Curl Defining - This is one of THE most important elements of my haircare routine that makes the biggest impact-positive or negative, on how long my curly style lasts, looks and feels. 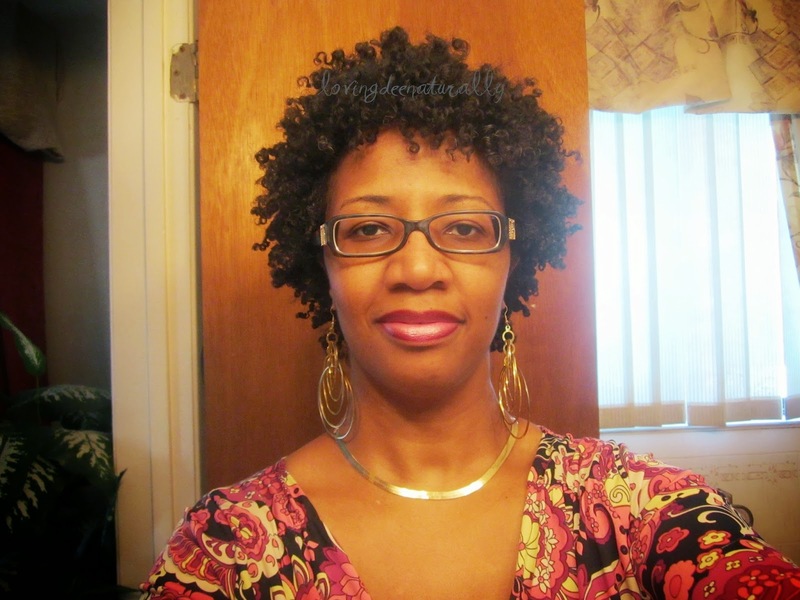 For my hair, if I don't define my curls the Tightly Curly way my wash and go's do not last 5-7 days-even if all the other factors I've written about in this blog post are in place. I think that is because the Tightly Curly method (is the only method I know of that) conditions and seals the moisture in each curl. There are times I smooth conditioner on larger sections of hair and when I do that not all of my hair gets completely conditioned and it shows later on in the week when hard frizz begins to set in, which (to me) is a symptom of dryness/moisture was not sealed. Use the right amount of product - Part of defining curls includes using the right amount(enough) conditioner to completely coat and set your curls as they dry so that your curls can retain their shape and moisture. This will take trial and error for you to know how much your hair needs to be completely conditioned enough to hold it's set for the week. No hand in hair syndrome - Once curls are defined they need to be allowed to dry/set in that curly state. Of course us curly girls know that if we touch our curls while they are wet that will cause frizz. I've had to really discipline myself to not touch my hair while it's drying. I also practice not playing in my hair too much when it's completely dry and when I untwist each morning because that will frizz my hair out as well. Be willing to accept/embrace some frizz - I've had to realize and accept that my hair will not remain in a super defined state. I've learned that my hair/style will soften and get fuller (still with good definition) across the week and in this instance the frizz gives it some 'character'; making it more fro-like, I'm learning to appreciate it, embrace it and work with it when it comes. I've also fallen in love with my curly fro and using TightlyCurly method and twisting my hair at night gives me some semblance of a curly fro that is now my go-to style. Time - I am one of those naturals who is of the belief, based on experience with my own hair, that hair can be trained. It can be trained to curl, it can be trained to not curl. 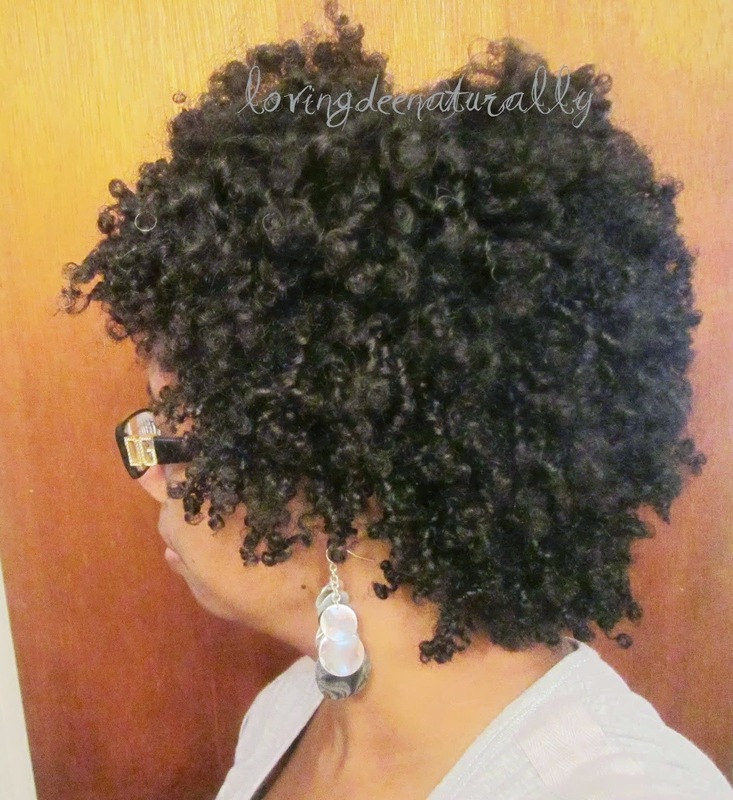 If you are consistent with curl defining and moisturization efforts, your hair will, in time, become accustomed to popping into it's naturally curly pattern with little to no effort. Tend to your scalp - I've begun to stop ignoring my scalp and give it some love too. I give myself scalp massages with a little mixture of olive oil/black castor oil/peppermint oil. Massaging my scalp keeps it from itching and becoming sore. It stimulates the circulation of blood and nourishment to the follicles which will deliver the sebum to the hair strands that keeps the hair strands (the roots, at least) from drying out or breaking. Nourished follicles will also keep hair healthy and growing. Day 7 - frizz fest - wash day! 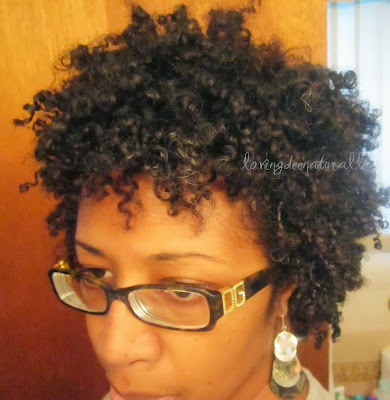 Well this concludes my list of tips on how I achieve/maintain a wash and go for 5-7 days. I pray this was helpful to you and if so just drop me a line in the comments letting me know. I love your curl definition!